Brace yourself–this may be the best homemade potato salad around. Gettin’ a little braggy here, but it’s delicious. 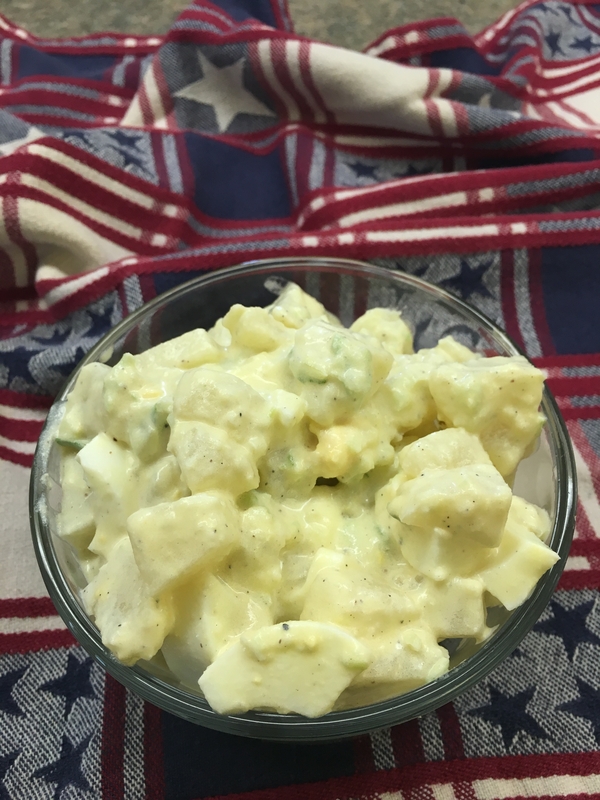 Believe it or not, I’ve never made homemade potato salad until now. And it wasn’t difficult. 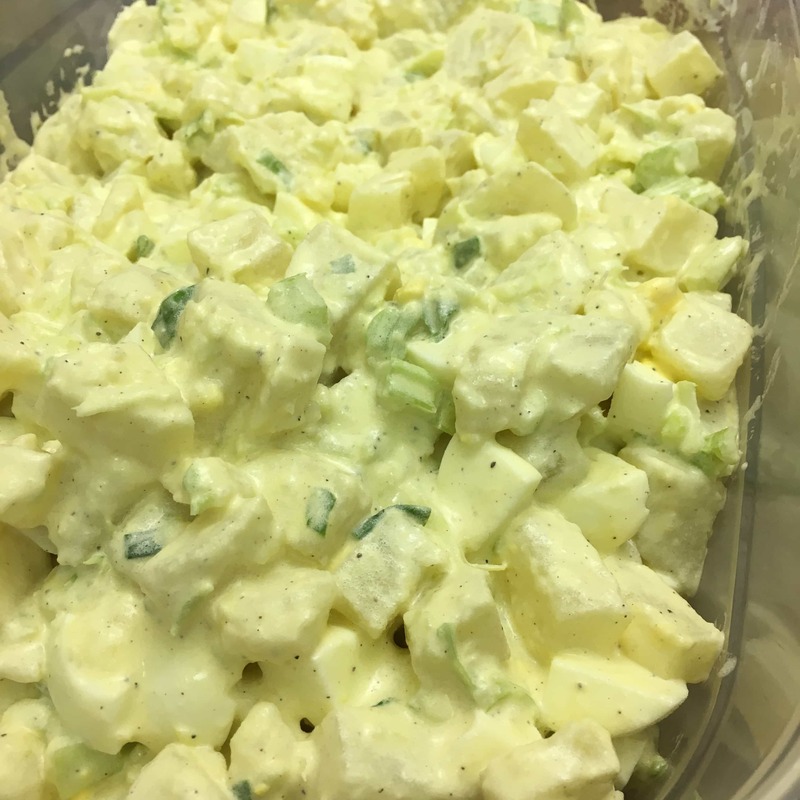 We met my husband’s family at the park for Easter lunch this year, and I was asked to bring some potato salad. (The great thing about living in Florida, is that the weather is already warm hot enough to get out and grill for the holiday). In the past, I’ve always run down to the grocery store and picked up a couple of containers of pre-made potato salad. 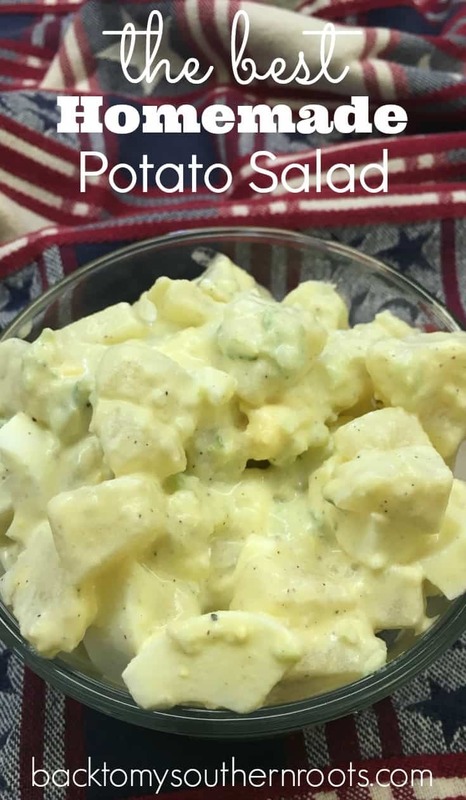 But, after I saw the price tag, I decided it was time to learn to make homemade potato salad. It’s not the fastest recipe around, but I kinda think it’s one of the best. I decided to combine a couple of different recipes, and my husband–my official taste tester–loved it! 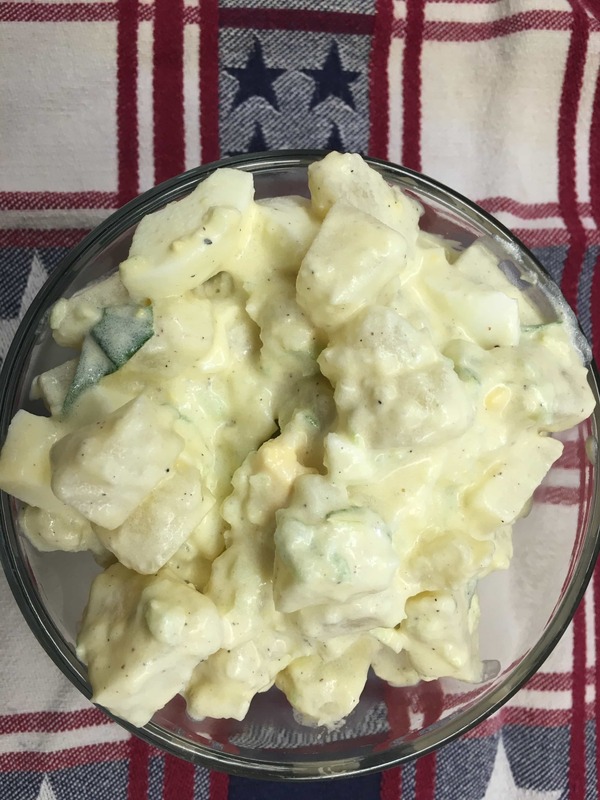 Potato salad is a great side to hamburgers and hot dogs, at a barbecue, or at a church potluck. The fun thing about the recipe is that it can be changed and adapted for a more southern, old-fashioned, or spicy flavor. See below for the recipe and instructions. 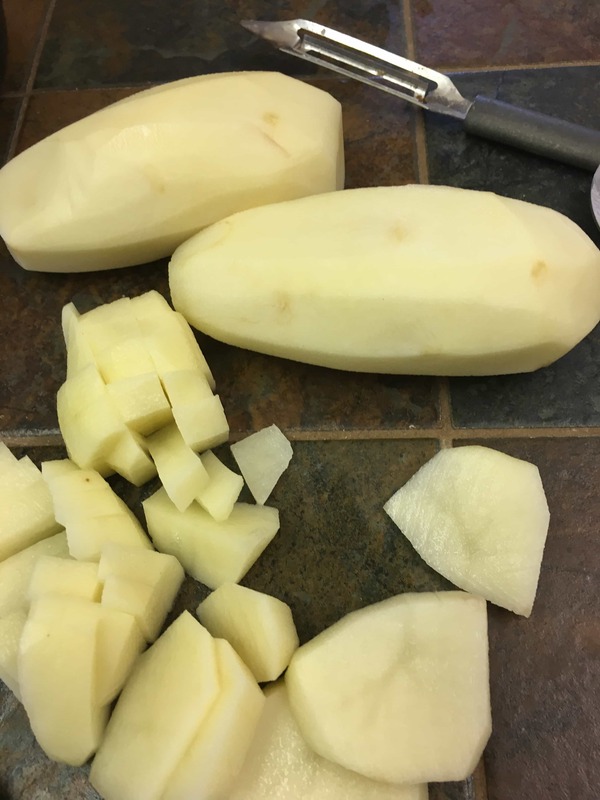 Step 1: Peel and dice the potatoes, and boil until almost tender. Drain and place in the refrigerator for a couple of hours. (They are easier to stir into the ingredients when they are cold). 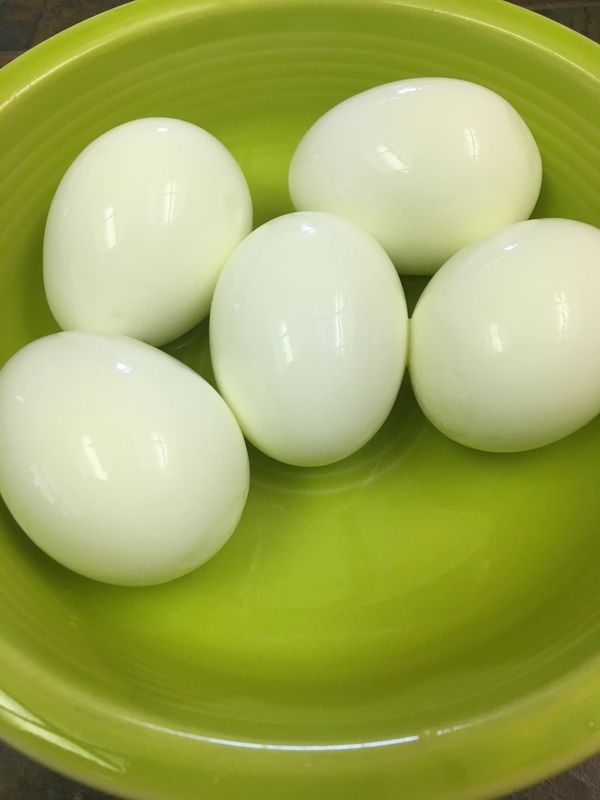 Step 2: Boil the eggs, and cut them up. Set aside. Step 3: Dice the celery and green onions. 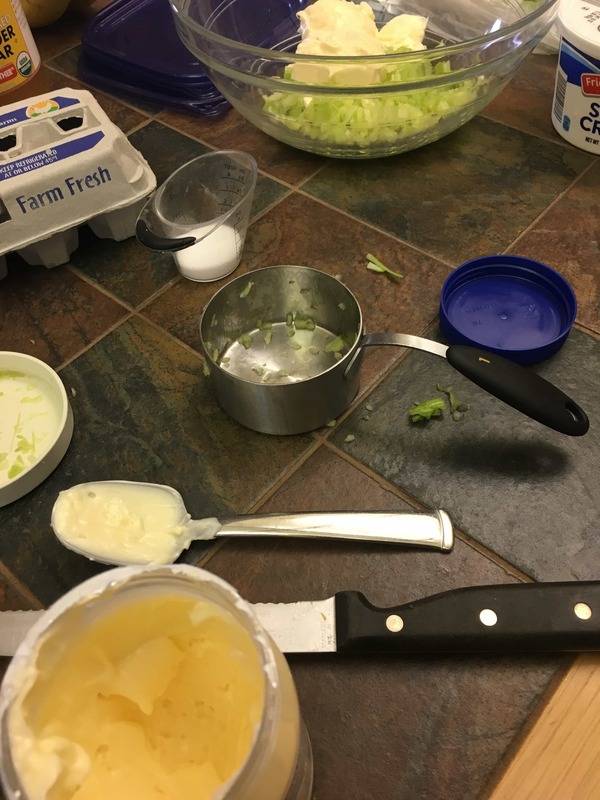 Step 4: Add the celery, green onions, sour cream, mayonnaise, salt, pepper, apple cider vinegar, green onions, mustard, and milk, to a medium-sized bowl, and mix. Step 5: Add the eggs and potatoes and mix. Pop it in the fridge until you’re ready to eat it. It takes about an hour to complete the potato salad, but it’s worth it. Try not to eat it all before you get it to the table! Cube the potatoes and boil until they are almost tender. (Make sure they are not too soft or they will turn to mush in the mix). Drain the potatoes and place in the refrigerator for two hours. Cook and dice the eggs and set aside. Chop the celery and green onions and set aside. In a medium-sized bowl combine the celery, sour cream, mayonnaise, mustard, green onions, apple cider vinegar, milk, salt, and pepper. Add the eggs to the mix and combine. Add the potatoes and combine. Return to the refrigerator until ready to eat.